“He Knew How to Die”: John Brown on the Gallows, December 2, 1859, David W. Blight, History News Network, November 30, 2009. One hundred fifty years ago this week, John Brown, the radical abolitionist, walked out of the Charlestown, Virginia jail to a wagon containing his simple wooden coffin. He sat on the box as the wagon conveyed him a half mile to the edge of town for his appointment with the gallows. U. S. troops and Virginia militia guarded this most famous execution in American history, fearing attempts to rescue the leader of the shocking Harpers Ferry Raid. As Brown’s 59-year old body dangled in the cold breeze that morning with the starkly beautiful mountains as a backdrop, Americans all across the land contemplated the meanings of violence, slavery, and martyrdom as never before. And we have never managed to get John Brown – his deeds and his death – out of our consciousness. Every discussion of the history of revolutionary violence or terrorism (choose your label) in American history begins with John Brown’s efforts to destroy slavery. 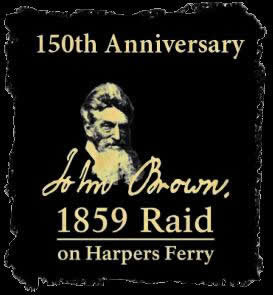 Today, many have folded Brown’s story into a pleasing sense of the inevitability of the Civil War; Harpers Ferry is viewed as the ordained “first shots” of the nation’s tragic, but worthwhile, struggle to end slavery in a society as Brown so famously put it, “purged with blood.” Some admire Brown as America’s own righteous, Bible-quoting Spartacus somehow advancing our history, a redemptive hero who justifies our self-perception as a nation devoted to freedom and equality. Or, then as now, Brown can be dismissed as the midnight terrorist, the bloody agent of fanatical rage in the name of God’s designs. These extremes can keep us comfortable with our prejudices and our desires, but blind to the authentic fated tragedy in Brown’s acts. Saintly hero or evil monster, John Brown on the gallows has inspired and haunted American poetry, painting, fiction, and historical interpretation. A living ghost in the national psyche, he will not go away, especially in our post 9/11 world of ubiquitous political and religious violence. John Brown should and does still trouble us; his “soul” may “go marching on” in the song that bears his name, but we should never let him or his story rest too easily in the narratives we tell ourselves. History should never come so cheap as to simply make us feel good about murder in the name of vengeance for slaveholding. Yet, few at the time of his execution could resist the fact that vengeance (God’s or man’s) for more than two centuries of the destruction of the lives, the souls, the collective human future of millions of Africans and African Americans was a primal challenge in the struggle for the very existence of the experiment called the United States. The raid on the federal arsenal in October and the famous trial that followed were sensational events. But the public hanging, conducted on southern soil by the state of Virginia, was far more important in the long run. If Brown had not been captured so readily, if a slave insurrection in Virginia had killed thousands and Brown himself had been merely shot on some country road and the body never found we would not be thinking about him today. It is all about the gallows. Brown said so himself in one of his many letters from jail while awaiting execution: “I am worth now infinitely more to die than to live.” And many of his admirers would say the same thing over the generations. Ralph Waldo Emerson gushed that Brown had “made the gallows as glorious as the cross.” By 1880, Frederick Douglass, to some extent a co-conspirator with the Old Hero, declared: “I could speak for the slave. John Brown could fight for the slave. I could live for the slave, John Brown could die for the slave.” In 1928, the poet Stephen Vincent Benet tellingly captured Brown’s lasting meaning: “He had no gift for life, no gift to bring/ Life but his body and a cutting edge, / But he knew how to die.” And in Jacob Lawrence’s haunting series of paintings of John Brown done in the 1930s, nearly every one of the 22 images contain some variation of a cross, formal or twisted, made of rifles and spears, or of Brown’s body itself. Lawrence’s Brown on the cross was America on the cross. And no use of this most powerful image of western culture – crucifixion – should ever make us comfortable in our stories. John Brown should confound and trouble us. Martyrs are made by history; people choose their martyrs just as we choose to define good and evil. And we will be forever making and unmaking John Brown as Americans face not only their own racial past, but the ever changing reputation of violence in the present. Indeed, as Robert Penn Warren, a fierce critic of Brown, nonetheless once said, it is the job of historians to pick the “scabs from our fate.” Love old John Brown or not, if we can do that with this subject we will learn a great deal about ourselves. 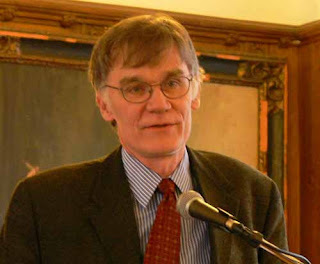 Mr. Blight is professor of American History at Yale University, director of the Gilder Lehrman Center for the Study of Slavery and Abolition, and author of Race and Reunion: The Civil War in American Memory. Text Source:History News Network, November 30, 2009. 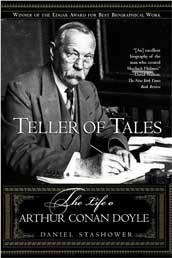 Teller of Tales: The Life of Arthur Conan Doyle, Daniel Stashower, Henry Holt Books, Inc, 472 pp., index, bibliography, illustrations, 1999, $16.00. I say Arthur Conan Doyle and you say Sherlock Holmes. But don't stop there. Doyle lived a very long, complicated and multi-layered life. This biography won the 1999 Edgar (Allan Poe) Award for Best Biographical Work and it generously explores the origins of Doyle's detective fiction, his science fiction, his fantasy fiction, his historical adventure fiction and his military histories. Sired by an alcoholic father, Doyle was born in 1859 to a Scots family with a very strong, enduring mother. He started as a very young whaling ship's doctor looking for adventure and soon afterward became a struggling provincial doctor who with few patients and time on his hands. He then decided to write his way out of poverty. The extended Doyle clan were prosperous Irish-Catholic families, who had a prominent position in the art world. Charles Doyle, Arthur's father, a chronic alcoholic, was the only member of his family, who apart from fathering a brilliant son, never accomplished anything of note and was institutionalized for the greater part of Arthur's life. At the age of twenty-two, Charles had married Mary Foley, a vivacious and very well educated young woman of seventeen. Mary Doyle had a passion for books and was a master storyteller. Her son Arthur wrote of his mother's gift of "sinking her voice to a horror-stricken whisper" when she reached the culminating point of a story. There was little money in the family and even less harmony on account of his father's excesses and erratic behavior. Arthur's touching description of his mother's beneficial influence is also poignantly described in his biography, "In my early childhood, as far as I can remember anything at all, the vivid stories she would tell me stand out so clearly that they obscure the real facts of my life." It is safe to say that Arthur Conan Doyle turned his life's adventure into literature. As a whaling crew's physician and adventurer, he walked on ice floes, killed seals, and nearly drowned. As a merchantman's crew physician he explored the coast of Africa and battled typhoid among the crew and within himself. 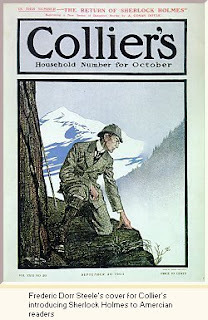 As a war correspondent, as a medical volunteer in during the Boer War, as WWI front line army administration observer, he always wrote for himself, his familiar and then later turned the adventure into fiction or military history. and Brigadier Girard a variety of Victorian Era conflicts. 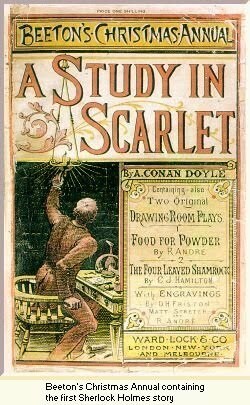 Doyle wrote and invested his theatre plays, sometimes writing well and making returns on his money, other times not. Critics give Doyle recognition for his combat scenes in The White Company and in his administrative reports from the European and Italian Fronts of WWI. In three instances, Doyle challenged judicial convictions of those whom he felt to be innocent or unrepresented before the bar. Establishing a reputation that would be today called an Innocense Mission, he investigated and paid from his own pocket judicial appeals in capital and non-capital crimes. Throughout his life, he felt infuriated, challenged, and intrigued by the spiritual realm. Having been sternly educated in a Jesuit school, exposed to other cultures view of death in his travels, and finding evidence of an afterlife in his own life's experiences, Doyle practiced Spiritualism. Mediums using automatic writing and channeling spirits were apart of the last three decades of Doyle's life. In part, having lost sons and nephews in WWI, his investigation of Spiritualism gave him some comfort. Spiritualism came to the fore during the 1830s and continued to be matter of scientific investigation by early psychologists through until 1930s in both Europe and America. Hale and hardy throughout his life, Doyle eagerly embraced sports but not hunting. An avid but unskilled driver of the new automobile, he wrecked a vehicle near his house and was pinned under the car in such a fashion that his back carried the weight of the vehicle. After several minutes his nearby friends lifted the auto off of him and he slowly walked away from the accident. With his reputation for great strength, none of his friends were surprised that his back could carry the weight of vehicle for several minutes and not collapse his chest. Stashower's biography is well worth reading for its glimpse into the Victorian Era and its description of a writer's life well lived. For Further Information: Sherlock Holmes on The Web that has a fairly comprehensive collection of research, bibliography, chronology, and literary history and criticism resources. Potential Casino Site Near Borough, Scot Andrew Pitzer, Gettysburg Times, November 26, 2009. There is new life in efforts to bring a gaming facility to Adams County, and a Gettysburg businessman is believed to be a part of the talks. The Harrisburg Patriot News reported Wednesday that an unidentified investment group has expressed interest in obtaining a Category III resort casino license in Cumberland Township. Legislative insiders say the project could potentially include table games, although there is no law authorizing those games now. The last time a gaming facility was proposed in Adams County, Crossroads Gaming Resort and Spa in Straban Township, it was rejected because of opposition, and it’s proximity to the 6,000 acre Civil War battlefield. This time, the potential site is an existing hotel in Cumberland Township — the 307 room Eisenhower Inn and Conference Center — located along the Emmitsburg Road, just south of Gettysburg. Pennsylvania Gaming Control Board spokesman Doug Harbach confirmed that no applications have been submitted for a Category III license in Adams County, and that “none could be accepted unless the board decides to re-open the application period.” There is one available Category III license, which permits as many as 500 slot machines at an existing resort and recreational complex. The hotel is owned by the estate of developer Richard D. Michael, and the estate’s executor, Larry Musselman, told the Patriot News that a potential buyer has secured an option on the property. Musselman would not name the group, citing confidentiality issues. Pennsylvania Senator Richard Alloway, whose district includes Gettysburg, said Wednesday that he’s “heard there is some interest over there to bring some gaming into Adams County...although there are some people involved from out of town as well.” The first-term senator hasn’t ruled out supporting a casino, as long as it doesn’t “detract from our number one asset in Adams County, the battlefield.” “It’s our economic driver. We get three million visitors every year here to spend their money and see our beautiful land,” said Alloway. The Eisenhower Inn and Conference Center is about five miles from downtown Gettysburg, in an area that is zoned for “mixed-use development,” located outside of Gettysburg National Military Park boundaries. Previously, a water park was proposed near the same site. Alloway vowed to consider any proposal “with an open mind.” “We need jobs, so people can pay their bills. We need tax dollars. We need to revive our economy,” said Alloway. “We need to be careful, but at the same time, we have to be realistic as it comes to job and tax revenue.”Gettysburg area State Representative Dan Moul said he would support an Adams County casino, “depending on where it’s located.” “I’m sure you’re going to have a lot of people, just like they did several years ago...that will say they’re not comfortable with having gambling in this area,” said Moul. He stressed that it’s “too early to be talking about table games, since we don’t even have a law that would put them into place.” He there are “a ton of issues that need to be considered, before the law is passed.” The current “bones of contention,” in Moul’s opinion, are a $5 million permit fee, and how the table revenues would be distributed. Moul believes the state could receive as much as 35 percent, but legislators are currently considering between 16-18 percent. Category III licenses are “slots only,” as are permits for Category I and II facilities. But Category III licenses are limited to a maximum of 500 machines, opposed to 5,000 machines for the first two licenses. License fees for Category III licenses are $5 million, and $50 million for larger facilities. There are restrictions over who can enter the gaming area of a Category III casino, according to state gaming law. Patrons must be registered overnight guests of the hotel, a customer at one of the facility’s attractions. Colonel Miles Quaritch played by Stephen Lang (Stonewall Jackson in Gods and Generals, George Pickett in Gettysburg) invades another planet in the film Avatar which is being release in late December. Avatar is written and directed by James Cameron, writer and director of Titanic. Avatar is a story set in the future and tells of Jake, a paraplegic war veteran, who is sent to Pandora a planet not close to Earth. Pandora is inhabited by the Na'vi, a humanoid race with their its language and culture. Those from Earth find themselves at odds with each other and the local culture. Jake Sully is a former Marine who was wounded and paralyzed from the waist down in combat on Earth. Selected to participate in the Avatar program which will enable him to walk, Jake travels to Pandora, a lush jungle-covered worl filled with incredible life forms both beautiful and terrifying. The Navi, a sentient humanoid race that are more physically capable than humans but are considered primitive. Standing three meters tall, with tails and sparkling blue skin, the Navi live in harmony with their unspoiled world. As humans encroach deeper into Pandora's forests in search of a valuable mineral, the Navi unleash their formidable warrior abilities to defend their communities. Jake has unwittingly been recruited to become part of this invasion force. Unable to breathe the air on the planted, humans have created genetically-bred human-Navi hybrids known as Avatars. The Avatars are living, breathing bodies that are controlled by a human "driver" through a technology that links the driver's mind to their Avatar body. On Pandora, through his Avatar body, Jake can be whole once again. Sent deep into Pandora's jungles as a scout for the soldiers that will follow, Jake encounters many of Pandora's beauties and dangers. There he meets a young Navi female, Neytiri, whose beauty is only matched by her ferocity in battle. Over time, Jake integrates himself into Neytiri's clan, and begins to fall in love with her. As a result, Jake finds himself caught between the military-industrial forces of Earth, and the Navi, forcing him to choose sides in an epic battle that will decide the fate of an entire world. Civil War review by Michael Taylor, Published on H-CivWar, November, 2009.
collective conscience. One of the scholars who has contributed to this body of work is Ernest B. Furgurson, whose two social histories covering the capital cities adds a new component to the study of this cataclysmic event. His bold narratives craft vivid pictures of two communities in desperate times fighting for their very survival and the political ideals their nations represented. With every turn of a page, the economic hardships, divided loyalties, and the ever-present threat of both humiliation and destruction at the hands of the enemy is made painfully real. When read in sequence, these volumes tell a chilling tale not only of the death throes of a nation as envisioned by its founders but also of violent communal fratricide that would be long in healing. In the first of the two books, Freedom Rising, Furgurson paints a portrait of the Union capital in a persistent state of tension, intrigue, and distrust. As with later historical periods when the United States was at war, during this conflict, xenophobia was pervasive, and loyalty was a badge of honor as well as a visceral weapon of sectional hatred from which no one was spared. The communal threads of this portrait are of intrigue and suspicion, woven together by ever-present military threat and vituperative political repercussions. It is this eerie presence that is ubiquitous throughout nearly every page. Perhaps, as the author explains, this was due to the fact that across the Potomac River lay the Confederacy, whose spies and sympathizers were numerous. Yet the work of a national capital continued. The construction of the Capitol building, the symbol of the American nation and home to both the Senate and the House of Representatives, had begun during the Franklin Pierce administration under the supervision of Secretary of War Jefferson Davis, and continued throughout the war. Work was often stopped due to either the lack of manpower or the necessary building materials. After the calamitous Union loss at the first Battle of Bull Run, and with it the perception that a Confederate invasion was imminent, General George McClellan was convinced of the need to both arrest spies and to protect the commander in chief. As such, it was he who initiated the Secret Service and hired detective Alan Pinkerton as its initial chief. 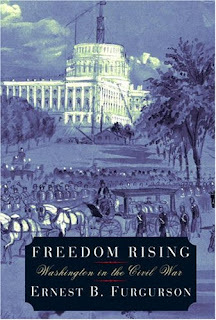 Finally, conducting a national election during wartime, especially during one of a fraternal nature, presented such a myriad of logistical and organizational difficulties that Washingtonian Francis Lieber remarked that if the country survived it, "I shall set it down as the most wonderful miracle in the whole history of events" (p. 333). The nation not only endured the ordeal but also reelected its commander in chief Abraham Lincoln to a second term by a comfortable margin. But these are but a few fascinating stories among the many within this volume. Southern loyalists were consistently suspect as spies and continued to serve their adopted nation with dedication. Because of their heritage, they faced an unceasing barrage of insults, both in the press and behind their backs, and yet bore the burden of their decision with strength and character. The most potent examples of this circumstance were those of Justice Wayne and Vice President Johnson. Unfortunately for the reader, it was an aspect that Furgurson touched on only slightly without examples as commanding, and, as a result, the book is not as effective without them. In the second of the two books, Ashes of Glory, Furgurson recounts a lurid and desperate tale of a proud community under the pervasive duress of economic hardship, shortages of essential items, and, later, a long military siege. With eloquence and sympathy, the author constructed a portrait of a community akin to a venerated dowager: in her youth a vibrant patrician with the world at her feet; at the close of her life, robbed of her riches, keepsakes, and memories; and, through it all, retained her elemental poise. More than the cause of independence, it is Richmond's pride in her traditions and her history that is at the heart of her survival, even after her citizens faced starvation and her buildings were reduced to rubble. Again, through it all the necessary business of both a national and state capital continued. As a dual-capital in the midst of a large-scale war, the administration of both the Confederacy and the state of Virginia was omnipotent within the city limits. With every issue came long and heated debates in the Congress: keeping the military equipped, the manufacture of arms, the maintenance of a navy, the management of several prisoner-of-war camps, and several others. There were also the domestic problems that come with shortages during wartime, the most acute being the shortage of comestibles, which led to the 1863 food riots, and to intense hostilities between the president of a nation and the mayor of a community. There was always vitriol concerning the deployment of human chattel, especially near the end of the war, to fight on the side of the Confederacy. With regard to this issue, Secretary of State R. M. T. Hunter wrote, in a searing note in protest, which in many ways got to the heart of the conflict itself: "This Government assumes the power to arm the slaves, which involves also the power of emancipation" (p. 308). And, finally, when General Robert E. Lee's defense of the capital city had weakened beyond effectiveness, there were the city's residents to evacuate, all refugees with little left to return to once the hostilities had ceased. When the narratives of these books are placed side by side, the comparisons could not be more obvious: These two American capitals could not coexist. As the result of fraternal war, Richmond faced the brutal realities of war in a manner unknown to the citizens of Washington who, though inconvenienced at times, maintained a certain level of similitude. Because the Union was forced to reshape and remake its military to the changing timbre of the war, its capital city remained flexible to changing winds of war; whereas Richmond, the proud bastion of Confederate civility, was as staid and proud as its president. Yet the hard hand of war leveled the city and forced the Confederacy into extinction because of its unyielding penchant toward chivalry as Ulysses S. Grant's army drained it of its lifeblood. In retrospect, perhaps it was the Union's early demoralizing losses that prepared the city for a long and brutal struggle, which, in turn, assured its survival. In tandem, the string of Confederate victories during the first two years of the conflict had created an air of invulnerability that ultimately made the shortages of the final two years so acute as to tear the sinews of the community apart. Together, these two volumes only touch the surface of their shared subject; however, they provide a respectable introduction to the real cost of fraternal brotherhood. The American nation must be often reminded that the sinews that hold the country together were wrought through sacrifice of not just those on the battlefield but also those who survived on the home front and lived to tell the tale. It is their descendants who are the richer for the experience. 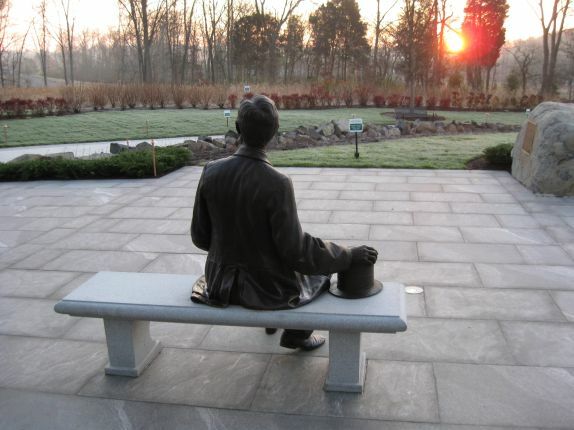 A new statue of President Abraham Lincoln will greet visitors to the Gettysburg National Military Park. The life-sized bronze statue is situated at the front of the museum and visitor center, and is the creation of of Ivan Schwartz of Brooklyn, New York. It was unveiled today, on the anniversary of his famous speech, the Gettysburg Address. "It seems like the right moment to do this. I don't know about the past, and why it hasn't happened before, but it seems like the correct moment now," says Ivan schwartz, sculptor. The statue is a gift from philanthropist Robert H. Smith. His family's foundation funds an education initiative that focuses on Abraham Lincoln. Members of the public received their first look at a new Lincoln sculpture at the main entrance to the Gettysburg National Military Park Museum and Visitor Center on Thursday, Nov. 19, Dedication Day. The life-sized bronze sculpture was created by Ivan Schwartz, founder and director of StudioEIS of Brooklyn, N.Y. 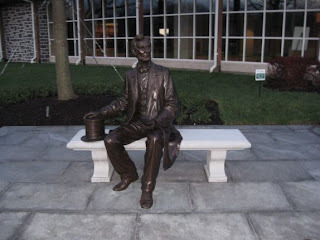 The Lincoln sculpture was made possible by a generous gift from philanthropist Robert H. Smith. Associated landscaping was created by landscape architects Donovan, Feola, Balderson & Associates, Inc. of Montgomery Village, Md. The landscaping was also made possible by a generous gift from philanthropist Robert H. Smith. Text Sources: Fox News and Gettysburg Foundation. 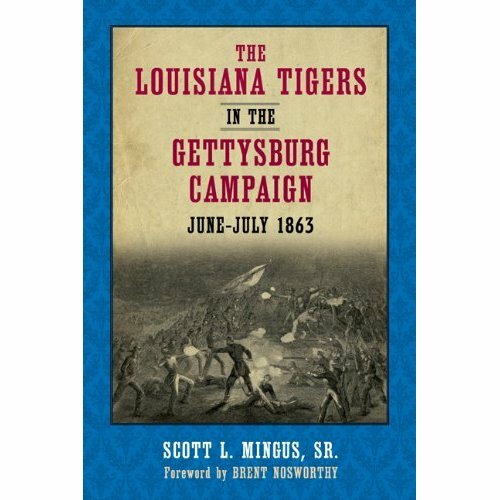 Certainly The Louisiana Tigers in the Gettysburg Campaign, June-July 1863 will be one of the highlights of both the Battle of Gettysburg and Civil War literature in 2009. 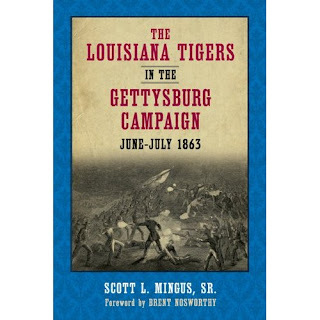 Mingus' work advances both the history of the Louisiana Tigers and the history of the 1863 Pennsylvania Campaign. Reminiscent of the best brigade histories, such as Nolan's Iron Brigade, Roberston's Stonewall Brigade and Wert's dual history of the Stonewall and the Iron brigades, Mingus relies heavily on the soldiers' accounts of their travels and travails. Wheat's Tigers, the predecessor of the Louisiana Tigers, is acknowledged in the first pages of the book. In 1861 Company B (The Tigers) of the 1st Louisiana Special Battalion took the nickname in New Orleans and fought in Wheat's Louisiana Battalion at the First Manassas. In the spring of 1862 the battalion was brigaded with the 6th, 7th, 8th, and 9th Louisiana regiments. This brigade became the First Louisiana Brigade (Louisiana Tigers) on the Peninsula when the battalion was decimated and Wheat killed. One of the strengths of Mingus' book is that it balances the Pennsylvania campaign's history with the brigade's history. The author describes the campaign to the extent that the brigade is fully in context at all times. Mingus never gives the reader more than is needed regarding the campaign. Having read Trudeau's, Sears' or Coddington's campaign histories, a reader will have enough background information to enjoy The Louisiana Tigers in the Gettysburg Campaign. In Mingus' book, the Louisiana Tigers never operate in a vacuum. When finishing the work, the reader will have a good understanding of the Tigers' opponents also. The march of the Tigers from Chancellorsville to the Potomac is succinctly covered. The Battle of Second Winchester is thoroughly described with Milroy and his weary Federal boys fully depicted. Mingus cites participants' recollection that of all the battles of the Army of Northern Virginia, Second Winchester was the best planned and executed of them all. Mingus does not limit his account to the testimony of the Louisianians regarding themselves. The testimony of the civilian witnesses and the Federal soldiers who negotiated with and fought against the Tigers is regularly offered by Mingus. These primary sources are among the best descriptions in the book. The accounts of the Louisiana sharpshooter in the McCreary house, the death of the 8th Louisiana flag bearer whose canteen carried whiskey laced with gunpowder, the escape of a Louisiana deserter through a Rebel picket line on July 3, the lonely death of a sick and worn out campaigner in in the care of a Gettysburg doctor in an Adams County farm house are among the many anecdotes that lift The Louisiana Tigers in the Gettysburg Campaign, June-July 1863 above the plethora of Gettysburg books that appear every year. CWL appreciates Mingus' attention to the calendar and the clock throughout the story. Another strength are the appendices: order of battle, official reports, casualties, weather, chronology. The eight maps show the advance of the brigade from the Mason Dixon line to York, Pennsylvania and then to Heidlersburg, Adams County. Unfortunately other maps showing the fighting on July 1 and 2, the street fighting of July 2 and 3, and the retreat routes are not offered. In particular the July 2nd assault path of the First Louisiana Brigade from Winebrenner's Run to the east slope of East Cemetery Hill needs a map. Owners of Trudeau's Gettysburg: A Testing of Courage will have sufficient maps. Also the McElfresh watercolor map with the crops and fence lines of East Cemetery Hill is very helpful. There are no photographs or illustrations in the book. Portraits of Harry T. Hays, the rank and file soldiers, or civilian structures though not necessary are always helpful to a reader. Image: The Samuel McCreary House taken from Baltimore Street. 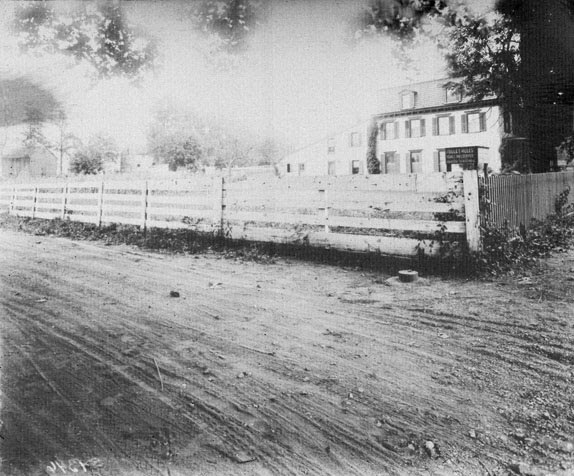 Lefever Street (known at the time as Winebrenner Alley) is running from right to left. The fence has bullet holes in it. This view was taken facing southeast sometime in the morning circa 1890. This photograph was taken by William H. Tipton and is in the files of Gettysburg National Military Park. 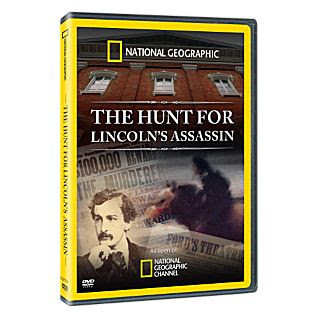 The Hunt for Lincoln's Assassin, National Geographic Channel, 50 minutes, $19.95, 2008. DVD format. Thin Soup. The National Geographic Channel didn't try hard enough on this one. The talking heads, reputable scholars each, are given very short (six to ten second)sound clips. During their fragments, the experts come off sounding smarter than the script that is read by an actor who often slips slips into/out of Dixie and New York City dialects. On the upside Booth's diary is featured and some black and white photographs are colorized quite well. Everton J. Conger is given a place in history but is given a superficial treatment. On the downside John Wilkes Booth has mustache issues. Maps of the route are few and without detail. Five Union cavalrymen were filmed in daylight, dawn, twilight and nighttime riding through woods, over open roads, and across pastures. The riders seem to have more time in the film as the experts. Suitable for middle school classrooms The Hunt for Lincoln's Assassin offers little to anyone who has read a book on the assassination. 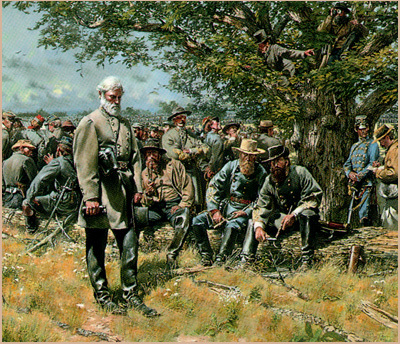 Did Lee Doom Himself At Gettysburg?, Military History Quarterly Online, August 7, 2009. By blindly relying on meager intelligence and by being unspecific with his commanders, did Lee place himself in the hands of God at Gettysburg? Lee wrote three different reports explaining decisions he made during the 1863 Pennsylvania Campaign. He implied that his corps and division commanders had failed to move in coordination with each other and he speculated that he had asked to much of the men in the ranks. What is not in his report is an awareness that he believed intelligence that he may have realized, even during the campaign, was wrong and should have treated with caution. Could Lee have done more to ensure that his commanders understood his intentions? With a thoroughly reorganized army after the battles at Chancellorsville and 2nd Fredericksburg, should Lee have done more to communicate with leaders working in new positions. Did misapprehension and miscommunication flourish in Lee's hands-off management style? On July 2 though in physical proximity to Hill's headquarters, it appears that Lee did not facilitate Hill's communication with either Longstreet or Ewell. With both Ewell and Longstreet, Lee had one meeting before noon on July 2 with each. A foreign observer at Lee's headquarters reported that only one was sent and one report received at the headquarters. Lee did not have a meeting of all three corps commanders together at any time on July 1, 2, or 3. "The result of this day's (July 20 operations induced the belief that with proper concert of action and the increased support that the positions gained on the right would enable the artillery to render the assaulting columns, we should ultimately succeed," Lee reported later. He was determined to continue the July 2 assault on July 3; the objective remained unchanged from July 2 through July 3. In his second official report Lee admitted that he might have asked more of this men that they were able to perform. To his wife Mary, Lee wrote that his men ought not to have been expected to have performed impossibilities. Lee does not leave a statement that explains how he mispreceived impossibilities as possibilities. Lee does not blame his chief of artillery, Pendleton though later Porter Alexander, Second Corps artillery commander does. A decade later at Washington College Lee spoke to William Allen of Stuart's disappointing effort during the Pennsylvania Campaign. Stuart, Lee lamented had failed to give him information and this lack of information deceived him into pursuing a battle the first week in July 1863. Lee further stated that his plan would have routed the Federal army if all elements of the Army of Northern Virginia had moved simultaneously on July 2. At most it was a 'combination of circumstances' that brought about the defeat in Pennsylvania. It is often noted that Lee explained his generalship as making and communicating plans then allowing his commanders find ways to implement them. How the commanders did that and how the Federals resisted those actions was in God's hands. At Gettysburg his commanders and their troops (in Longstreet's words) never fought harder than on the afternoon and evening of July 2. Was Lee a fatalist like Lincoln? 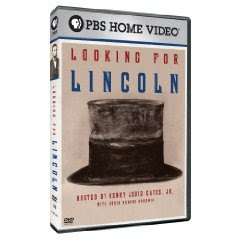 Looking For Lincoln, Written and Presented by Henry Louis Gates, Jr., with a commentary by Doris Kearns Goodwin, Kunhardt McGee Productions/Inkwell Films/WNET, 120 minutes, dvd format, color and b/w, 2009, $24.99. "Today he is more myth than man," states Gates within the first minute of the film. When Gates visits the land of Lincoln, he is chauffeured by a black Lincoln (Ford Mercury). Within the first fifteen minutes of the film, Gates is taken to his Cambridge Massachusetts neighbor's home where Doris Kearns Goodwin, author of Team of Rivals pitches her book. The first hour of the film borrows heavily from Andrew Ferguson's 2007 Land of Lincoln: Adventures in Abe's America. Citing Lincoln law partner, William H. Herndon's collection of oral history he interrogates 1840s-era reenactors in New Salem, Illinois on the Ann Routledge and the prostitute stories. Lincoln's Melancholy: How Depression Challenged a President and Fueled His Greatness author Joshua Wold Shenk is queried regarding Lincoln's emotional desposition. Of course Tony Kushner, Steven Spielberg's screenwriter for the film based on Goodwin's book, is queried about his own favorite film. It's Young Mr. Lincoln with Henry Fonda because the film is so quiet and shows Lincoln strolling along a river; "whatever river that was" recalls the informed screenwriter. David Blight, esteemed historian, is cut short while making a point by Gates who states that Lincoln had to remind audiences that he was a racist too. Blight comes back with stating that Blacks needed Lincoln to be a symbol and that the fact the Lincoln in the 1850s took the side of the white working man. In an interview m magazine editor and African-American Lerone Bennett states that everything he once knew about Lincoln was a lie. "You can't defend Abraham Lincoln without defending slavery," claims Bennett; the statement goes unchallenged by Gates. 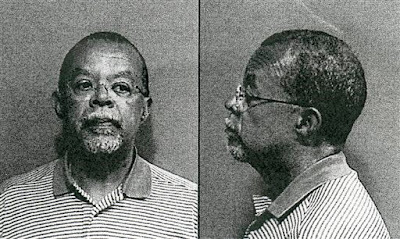 Those thinking critically about a flawed and compelling man are students in a high school class which Gates visits. The high school instructor tells Gates that Lincoln has to be taken off the pedestal then returned to it. At a dinner party with Gates, Blight, and James Horton, Harold Holzer states that Lerone Bennett's mistakes are that he judges a 19th century man by late 20th century standards. Horton asks "If you had to elect today any previous U.S. president again to the office and you had to make the decision on his record regarding race" would you re-elect anyone other than Lincoln? Gates returns to Team of Rivals author Goodwin for a quick summary of the selection of the presidential cabinet. Overall, Gate's search for Lincoln is successful. He finds a masterful orator, a shrewd but moral politician. Bill Clinton talks about his hero, Abraham Lincoln; Clinton sees Lincoln who brought the talent and grew into the office. Clinton's goal was to do that it. Certainly, we are waiting for that to happen in 2009. Gates visits a memorabilia collector living in Hollywood, Lincoln reenactors, white descendants of Confederate Veterans, and Gettysburg's Cyclorama and Gettysburg College's Lincoln scholar Allan Guelzo, black descendants of Confederate camp servants "who simply want to remember their relative's courage". For George W. Bush, Abraham Lincoln is to be admired for his morality clarity. Overall, the film handles evenly the multiplicity of interpretations concerning the life, work and motivations of Abraham Lincoln. The round table session of Blight, Horton, Holzer and Gates as well as the one-on-one interview of Gates and Blight are the strengths of the film. The remarks in the high school class room with the remarks of the instructor are noteworthy. CWL recommends Looking for Lincoln to history instructors and discussion group leaders. Near the end of the film Gates who is concerned with Lincoln's shortcomings on race is told by Goodwin that Lincoln ". 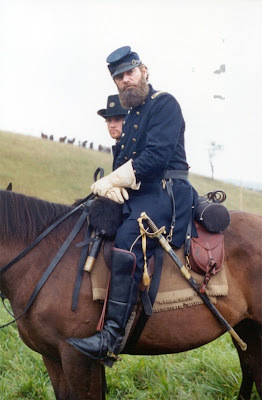 . . was so far ahead of anyone at that time and he needed to win the war." She closes her interview with the statement that Gates' problem is that he was taught a mythology of Lincoln. Gates admits the "it is a great temptation to judge Lincoln" outside of his era. Gates rests his final judgment on the Lincoln's sentiments of the Gettysburg Address and the Second Inaugural Address. The Army's Grunts Get Their Due, Mark Yost, Wall Street Journal, November 11, 2009. World War II cartoonist Bill Mauldin once said, "I'm convinced that the infantry is the group in the Army which gives more and gets less than anybody else." 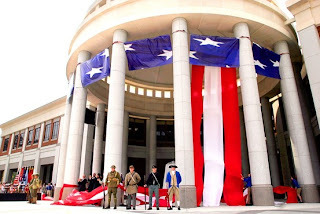 The infantryman has finally been given the recognition he deserves with the opening of the National Infantry Museum, situated just outside the gates of Fort Benning, "Home of the Infantry." 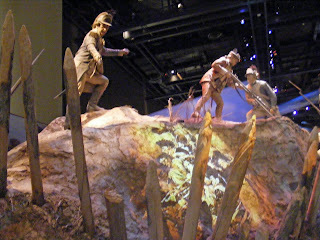 Visitors first encounter "The Last 100 Yards," a series of dioramas on the infantry's role in taking the last part of any battlefield. The scenes depict great moments in infantry history, such as the Oct. 14, 1781, capture of redoubt No. 10 at Yorktown, Va. American infantrymen, some from Lt. Col. Alexander Hamilton's unit, advanced, bayonets fixed but rifles unloaded "so as to ensure a stealthy attack." Other displays recreate heroic actions at Antietam, Soissons, Omaha Beach, the Ia Drang Valley and in Iraq. Up next is the Fort Benning Gallery, an overview of modern infantry training—including marksmanship, first aid and communications, as well as advanced infantry specialties such as Ranger school, sniper training and the Pathfinders. Despite the technological advances of modern warfare, the primary goal of the infantry remains the same: "to get within close proximity of the enemy to kill them, destroy their equipment and demolish their will to resist." These first displays are just a prelude to the primary exhibit space, comprising six galleries organized by historical period. Two, "Securing Our Freedom: 1607-1815" and "Manifest Destiny and the Civil War: 1815-1898," were not yet open. So my visit began with "Entering the International Stage: 1898-1920," which starts with a good overview of the Spanish-American War and the yellow journalism that fueled nationwide outrage over the sinking of the Maine (something we now know was probably an accident). While the Army grew by 1,000% in preparation for war, many of the soldiers were not well trained in even the most basic skills, including field hygiene. As a result, many died of preventable diseases such as dysentery. Also on display are the weapons of that day: the .45-caliber, black-powder Springfield rifle used by U.S. troops against the vastly superior German-made 7mm Mausers of the Spanish. Shown, too, are Chinese wooden arrows with steel tips that were often hurled at soldiers on "China duty" in the early 20th century, as well as a recreated trench from World War I, complete with sound effects. If the Army learned anything in World War I, it was that the infantryman needed more training. "A World Power: 1920-1947" opens with an overview of the new regimen advocated by such future luminaries as Dwight Eisenhower, Omar Bradley and Mark Clark. For instance, the infantry squad was expanded to 12 men from eight to increase its firepower, and infantry officers were taught to think on their feet rather than rely on rote doctrine. The goal was to abandon the senseless massed attacks of World War I and adopt a more fluid "fire and maneuver" strategy that remains the core of infantry tactics today. Much of this is familiar territory, but what personalizes the exhibits here are the helmets, uniforms, weapons, decorations and personal stories of individual infantrymen. Like the Silver and Bronze Stars of Sgt. Roland Henry Vogt of Appleton, Wis., who fought in the First Infantry Division in World War II. Or the dented silver flask of Lt. Horace Cofer of the 507th Parachute Infantry Regiment. The flask was in his breast pocket on D-Day when he was struck by artillery shrapnel; it probably saved his life. And then there's Lt. Audie Murphy, the most-decorated soldier of World War II. On display are his service cap and ribbons, including his Medal of Honor, French Legion of Merit, and Distinguished Service Cross. "The Cold War: 1947-1989" highlights key infantry battles in Korea, Vietnam, Grenada and Panama through the personal stories of such infantrymen as Sgt. William M. Tillman. In 1950, he was one of the few men in the Army who knew how to use the new 3.5-inch rocket launcher. When the North Koreans came pouring over the border, he was flown to the Korean peninsula and ended up training some 1,800 soldiers in its use. The last, perhaps most valuable gallery is "The Sole Superpower: 1989-present," which takes a fairly objective, apolitical look at all we've done in a period when many have criticized our increasingly influential role on the world stage. Using wall-size interactive maps and after-action analysis, this gallery celebrates the strategic brilliance of Norman Schwarzkopf's 1991 feint against Saddam Hussein's highly overrated Republican Guard; our oft-forgotten humanitarian mission to Bosnia to protect a Muslim minority population; and, more recently, the largely untold valor and tactical victories of infantrymen in towns and neighborhoods across Iraq and Afghanistan. This last point is the most important. While we haven't repeated the mistakes of Vietnam by demonizing the troops, we haven't celebrated their accomplishments in the War on Terror, either. This museum does just that. It celebrates, without fanfare or political overtones, the accomplishments of the "grunts," the "ground pounders," the ordinary soldiers who so often go unheralded while doing the day-to-day dirty work of combat and peacekeeping. 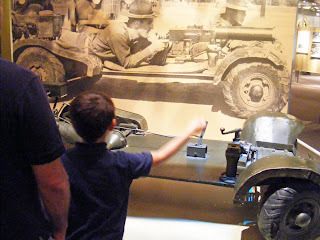 For that alone, this museum is well worth a visit, and a fitting tribute on this Veterans Day. England's textile industry relied heavily on Southern cotton and England was a quiet supporter of the C.S.A. Since it violated international laws of neutrality for England to build warships for the Confederate cause, England simply constructed the ships but had them armed in other locations. After leaving England, the CSS Alabama was commissioned and outfitted for combat by the Confederate navy in the Azores. The Alabama attracted attention even during her construction. Union spy reports trace the ship designated "290" from her days in the building dock through six months of her sea voyages. Information about the ship's dimensions, manpower, and armaments was gleaned from workers around the ships and even from the sailors themselves. "Met the seamen, say thirty in number, on Saturday (July 26, 1862) coming down Canning Street from the ship, playing "Dixie's Land".... Went up to one of the men and asked him when he thought the ship would be going out. He told me that their bed clothes and bedding were on board and that the boatswain had told those who intended to go in her, to hold themselves in readiness for early next week." Raphael Semmes, who had served in the United States Navy during the Mexican War, was appointed to the post of Commander of the Confederate Navy in 1861. His first action for the C.S.A. Navy was to command the CSS Sumter, a New Orleans steamer-turned-cruiser that began Semmes' reign of the high seas. After six months aboard CSS Sumter, Semmes was promoted to the rank of Captain and sent to England to command the new cruiser Alabama. The following proceedings marked a change in maritime custom, noting that the Alabama would burn one ship and lie in wait to capture any would-be rescuing ships. The sight of a burning ship could no longer be considered a call to aid but a signal to steer clear of potential pirates. "...in view of this atrocity (the burning of the Union ship Brilliant), it is the duty of this chamber to announce, for the information of all who are interested in the safety of human life--the life of ship-wrecked passengers and crews--that henceforth the light of a burning ship at sea will become to the American sailor the signal that lures to destruction; and will not be, as in times past, the beacon to guide the generous and intrepid mariner to the rescue of the unfortunate." 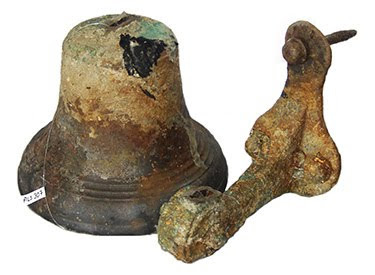 The CSS Alabama exhibit you are able to view at the virtual Mueseum of Underwater Archaeology is a new version of the exhibit launched early in 2006. It was redesigned to using cascading style sheets, and to be more accessible to individuals with disibilities. This virutal exhibit was designed and created by T. Kurt Knoerl and Michelle Damian. The exhibit script was based on the seasonal field reports written by Dr. Gordon Watts and was edited and arranged by Danielle Flores, Michelle Damian, and T Kurt Knoerl. Why 1808 Marked a Pivotal Moment in US History, Lacy K. Ford, History News Network, November 9, 2009. The year 1808 is often overlooked when historians and commentators discuss key moments in American history. Why was 1808 a pivotal year in American history? Its significance has little to do with the fact that James Madison was elected to succeed his friend Thomas Jefferson as President, extending the Democratic-Republican party’s hold on the White House and increasing Federalist frustration, or with the new nation’s early drift toward future hostilities with the British. Instead, the signal event of the year was the end of the African slave trade. Over the subsequent decades, this ban on the importation of slaves from overseas dramatically reshaped the institution of slavery in the United States. Moreover, this limit on size of the southern slave population prompted white southerners to reconsider possible ways of addressing what many of them still saw, in the tradition of the founders, as the problem of slavery. 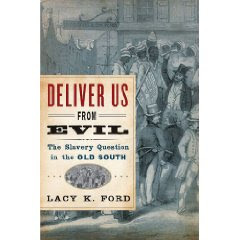 After the closing off the foreign slave trade in 1808, both the upper and lower South sought answers to the slavery question in their respective regions through an internal reconfiguration of slavery. But the two regions sought very different reconfigurations. With the supply of slaves now permanently limited, whites in the upper South could envision reducing their dependency on slaves and “whitening” their region through a slow but steady demographic reconfiguration of slavery, accomplished largely be selling off or “diffusing” their slaves to areas of high demand in the cotton South. Demand for slaves in the domestic market from lower South cotton growers provided an outlet for surplus slaves from the declining tobacco regions of the upper South. The sale of slaves from the upper South to the lower reduced the enslaved proportion of the upper South population, returned capital to the upper South, and supplying the desired labor for lower South staple growers. But the newly essential internal slave trade also generated its share of tension between the upper and lower South. Whites in the lower South resented the outflow of capital to the upper South and often suspected that upper South masters and traders dumped unhealthy, troublesome, and even incendiary slaves on the lower South market. Thus, at times of heightened fear of slave unrest, lower South states passed legislation either banning the importation of slaves for sale altogether or restricting it significantly. In doing so, they sought to control racial demography, preserve white security, and slow the drain of capital from the region. These efforts of lower South legislatures to restrict the interstate slave trade posed problems for the upper South’s strategy of whitening itself by selling off slaves to the lower South. In the lower South, the same growing dependence on slave labor that gave rise to efforts to better control the domestic slave trade also accelerated the region’s interest in its own reconfiguration of slavery. To achieve greater security and peace of mind, lower South whites sought not a demographic but an ideological reconfiguration of slavery, one centered around developing a better rationale for the holding and managing of slaves. Led by a group of unlikely ideological insurgents (Christian ministers and lay leaders), this movement found expression in the ideology of paternalism. Beginning in the early 1800s as a small but vocal group eager to “reform” slavery, the paternalist movement grew slowly to a position of respectability and eventually to one of dominance by the late 1830s. Paternalistic masters were expected to attend to their slaves’ spiritual welfare as well as their physical needs, most often by inculcating Christian doctrine and morality, or at least the masters’ version of them, among the enslaved. The end of the African slave trade in 1808 made the paternalist project of “domesticating” slavery plausible in a way unthinkable as long as large numbers of Africans continued to flow into the slave population. Over the course of three decades, the ideology of paternalism gradually gained hard-won acceptance among lower South whites who sought an ideological reconfiguration that would render slaveholding consistent with existing republican and emerging humanitarian ideals while accepting the inevitability of the region’s reliance on slave labor. To be sure, the paternalistic ideal was not the reality of plantation, farm or urban life across the slaveholding South. The cotton boom and the rapid expansion of slavery across the lower South in these decades produced as much cruelty and as much disruption of slave family and community life as occurred in earlier generations, and as much tension between masters and slaves as ever. But even though the precepts of paternalism were honored mainly in their breech, southern slaveholders increasingly conceived of themselves, and explained themselves to a questioning world, through the prism of paternalism. By accelerating the emergence of paternalism as dominant social ideology in the region, the end of the foreign slave trade facilitated an ideological reconfiguration of slavery in the lower South. Thus the desire of whites in the upper South to whiten their region using the internal slave trade ironically cemented upper South whites’ commitment to the concept of “property in man” while lower South whites’ desire to rely heavily on slave labor and yet convince themselves that slavery was both safe and consistent with Christianity generated an ideology that reminded them that their slave property consisted of men and women, who, as southern theologian James Thornwell pointed out, “had a soul of priceless value.” In sum, the closing of the foreign slave trade facilitated both the upper South’s desire to whiten itself and the lower South’s eagerness to “domesticate” slavery as a way of making it seem safer and less inhumane. In doing this, the end of transatlantic slave trade reshaped the institution of slavery in antebellum America. Mr. Ford is a Professor of History and Chair of the Department at the University of South Carolina. 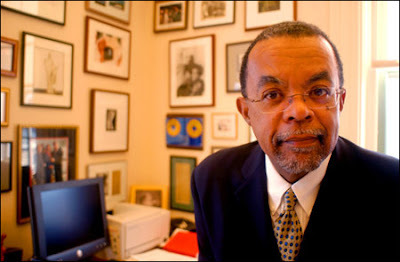 His most recent book is Deliver Us From Evil: The Slavery Question in the Old South, was published by Oxford University Press in September 2009. James K. Polk Could Offer Military Advice to Obama, Robert W. Merry, Houston Chronicle, October 24, 2009. Late on the evening of May 14, 1846, President James K. Polk met with his top general, Winfield Scott, to discuss strategy and troop requirements for the looming Mexican War, authorized by Congress just two days earlier. The two men agreed the army should capture northern Mexico and hold it until a peace could be negotiated. When Scott said he would need 20,000 volunteer troops to do that, Polk nodded his assent. This tiny slice of presidential history is worth pondering in today's America. One reason is that this period of American history, between the presidencies of Andrew Jackson and Abraham Lincoln, seems to have faded from the country's collective consciousness. Polk's war is the lost war. And Polk's era, characterized by an explosion of American expansionist zeal exploited by the president to expand U.S. territory by a third, is the lost era. That's unfortunate because this period, like all history, offers its own particular object lessons for our own time. And some of those lessons are particularly pertinent to the profound military decisions confronting President Obama today in Afghanistan. The president's man in charge of the Afghan effort, Gen. Stanley A. McChrystal, insists his military strategy in that turbulent country requires another 40,000 troops. Otherwise, he says, his counterinsurgency effort can't work and the Islamic fundamentalist Taliban likely will capture the country. The fundamental questions facing Obama are the ones that engulf every president contemplating or already locked in a war: Is the requested troop strength the right number? Is the strategy the right strategy? How can events be kept under control? History tells us that no president ever manages to get all this right with anything approaching smooth efficiency. Back in Polk's day, the president's instinct on the troop question reflected his congenital caution and tendency toward self-protection. He knew, seemingly without thinking about it, that he couldn't ask his generals to do a job with fewer resources than the generals said they needed. That would place the burden of potential failure squarely upon himself. 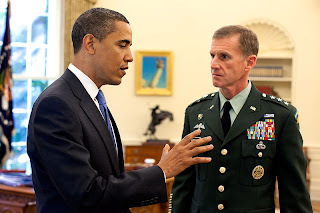 Similarly, within any context of political prudence, Obama can't reject McChrystal's troop request without rejecting his strategy — and perhaps the general himself. But, as Polk's war unfolded, it became clear that his fundamental strategy — capturing northern Mexico and holding it pending peace negotiations — was seriously flawed. By the fall of 1846, just a few months after the Mexican war began, the president concluded he would need an entirely new war strategy. 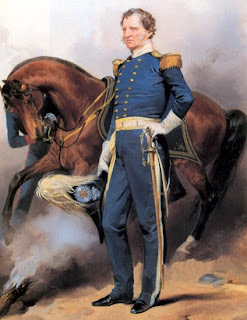 True, General Zachary Taylor had managed to push back the Mexican enemy with brutal efficiency, defeating it handily at three major battles near the Rio Grande. What's more, America's ragtag western forces had subdued the vast Mexican territories of New Mexico and California. But those victories generated no Mexican inclination to treat for peace. Polk had sent a peace overture to Mexico City on July 27, and by Sept. 19 he got word it had been roundly rejected. Worse, it was becoming clear that Polk had been snookered by Mexico's wily former leader, Santa Anna, who had promised to push for peace in Mexico if Polk aided his efforts to get back into his country from an imposed exile in Cuba. Polk had allowed the man through America's naval blockade, whereupon Santa Anna promptly turned belligerently anti-American. So now he would have to ask Congress for loan authorizations totaling some $23 million and for ten new regiments of regular troops. He would have to devise a new military strategy encompassing an amphibious landing at Vera Cruz and a long, arduous march to Mexico City, stirring ever greater hatred in the hearts of those with whom he wished to negotiate a peace. He would have to absorb far greater expenditures than he had anticipated and the loss of far more blood. And he would have to quell the agitations of an increasingly uneasy and unruly Congress. In short, by the time Polk's war had reached its seventh month, the president had lost control of events. He wasn't master of the war; the war was master of him. All this has relevance for our own time. Even if McChrystal gets his 40,000 additional troops for Afghanistan, it won't avail much to himself or his president if the strategy is faulty. Then they will face the decision of either doubling down on the troop commitment, with all the political havoc that will generate in Congress and country, or revising the strategy, with all the uncertainty and risk that would entail. Either way, the war would be controlling events, not the president. For Polk, a war he had hoped would last three or four months actually dragged on for two years. But in the end he got what he wanted — a negotiated settlement that ceded to the United States lands that later would encompass California, Arizona, Nevada, Utah and New Mexico. That proved to be a big victory for an expansionist nation bent on straddling an entire continent, positioned to dominate the commerce of two oceans. In our time, President Obama faces the question whether the military adventure he is contemplating will yield benefits to his country in proportion to the cost in treasure and blood that will be assessed by events. The stakes are high and the calculus highly complex. But one thing is clear: Whatever the benefits, the costs almost inevitably will slip beyond his control. Merry, a former Washington correspondent for The Wall Street Journal and CEO of Congressional Quarterly Inc., is the author of three books, including A Country of Vast Designs: James K. Polk, the Mexican War, and the Conquest of the American Continent, which is due from Simon & Schuster on Nov. 3. Prosecutors said Pritchard III - a former appraiser on PBS Television's Antiques Roadshow - had inappropriately used his association with the popular and highly reputable television show to gain the confidence of wealthy, retired individuals or relatives settling family estates. Pritchard III took possession of his victims' valuable antiques and profited handsomely from their sale at auction, but then failed to pay the consignors. Throughout the most recent round of proceedings against Pritchard III, prosecutors emphasized that their main interest was in seeking restitution for the one-time auctioneer's victims. As part of the plea deal, Pritchard III is required to pay back a total of $65,784 to the three people he most recently conned. Pritchard III's questionable dealings in the antiques trade, which date back to 1996, were first revealed in an indictment filed in Philadelphia on March 15, 2001. In a case investigated by the FBI, a grand jury was told that Russell A. Pritchard III and associate George Juno, who were engaged in the business of appraising, purchasing, and selling military-related artifacts through their business, American Ordnance Preservation Association (AOPA), had engaged in staged or phony appraisals to enhance their reputation as militaria experts. This indictment might have garnered less national publicity had Pritchard III and Juno not also been two of the more prominent appraisers on the Antiques Roadshow. The FBI became involved in the case in July 1999, when the appraisers were sued by the decendants of General George Pickett for defrauding them of their ancestor's property. In July 1996, Pritchard III and Juno met with a man named "Steve" to rehearse a story about a Confederate Civil War sword that they supplied to him. On July 20, 1996, the three men staged a phony Antiques Roadshow session for a later broadcast. "Steve" recounted that the sword had been in his family for years and that, as a child he used it to cut a watermelon. While the cameras rolled, he acted surprised when Pritchard III and Juno appraised the "watermelon sword" at $35,000. While Pritchard III and Juno used their appearance on the Antiques Roadshow to bolster their reputations, they also relied on false appraisals and misinformation to obtain valuables from unsuspecting collectors. In early 1997, descendants of Major Samuel J. Wilson, a Union officer in the Civil War, contacted AOPA after watching the "watermelon sword" episode. They asked the association to appraise a sword once used by their ancestor. Pritchard III and Juno gave it a value of close to $8,000 and persuaded the family to sell them the sword so it could be displayed in the National Civil War Museum in Harrisburg, Pennsylvania. The Wilson family had no intention of selling the sword prior to their meeting with the appraisers but, believing their descendant would have a place of honor for all time, the family sold it. But instead of giving the Wilson sword to the museum, George Juno used it as collateral to secure a loan. Then he helped a family member sell the Wilson sword to a private collector for $20,000 - two and a half times the value at which he and Pritchard III originally appraised it. Another case involved a gun belonging to Civil War Major General George C. Meade, who commanded the victorious Union forces at the Battle of Gettysburg during the Civil War and repelled the invasion of the North by the Army of Northern Virginia under General Robert E. Lee. After the Battle of Gettysburg, Major General Meade was presented with a pistol that had been in the Meade family since the Major General's death. In August 1997, Pritchard III reached out to a Meade descendant and represented himself as an expert in the field of Civil War artifacts. He offered to appraise the mahogany-cased, .44-caliber, Remington presentation pistol with engraved ivory grips, silver-plated frame, and gold-washed cylinder and hammer. Pritchard III appraised the Meade firearm at between $180,000 and $200,000 and, once again, falsely stated that he was acquiring the firearm for the National Civil War Museum, for permanent display. 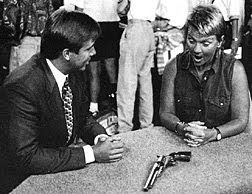 In October 1997, a private collector paid Pritchard III $385,000 for the firearm; in return, Pritchard III paid the Meade descendant just $184,000. Then, Pritchard III faxed a letter to the mayor of Harrisburg, stating falsely that the Meade family was not interested in selling the firearm for inclusion in the city's National Civil War Museum. Then there was the Patterson collection. In 1996, an employee of AOPA contacted Mrs. Donald Patterson and expressed interest in acquiring a collection of militaria that she and her husband had accumulated over the years. Between August and December 1996, Pritchard III, again falsely representing himself as an agent for the National Civil War Museum, appraised the Patterson collection and chose items - including swords, rifles, pistols, uniforms, and other Civil War artifacts - he said he was acquiring on behalf of the museum. Three days after Mrs. Patterson agreed to sell a portion of her collection to Pritchard III to preserve and display at the museum, Pritchard sold the majority of the items to a private Civil War dealer for $50,000. 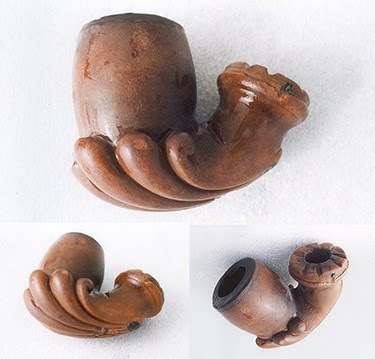 In May 1997, he sold the remainder of the collection to another private Civil War dealer for an additional $15,000. In September 1996, a descendant of Lieutenant Colonel William R. Hunt, an officer in the Confederate States of America during the Civil War, asked Russell Pritchard Jr., (himself a cousin of the Hunt descendant) to appraise a Hunt uniform. Pritchard Jr. delivered the uniform to his son, Russell Pritchard, III, who made repairs to the uniform. In December 1996, the Hunt uniform was sent to a textiles expert to confirm its authenticity. In January 1997, the Pritchards falsely advised Mr. Hunt that the uniform was not authentic and that they had given it away to a clothing collection agency. More than a year later, Pritchard III, sold the uniform to a private collector for $45,000. It eventually made its way back to a museum in Tennessee which bought it from a private dealer for $67,500. 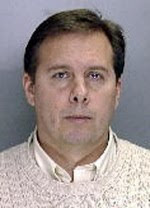 In May 2001, Russell Pritchard Jr. was indicted for the theft of the uniform. 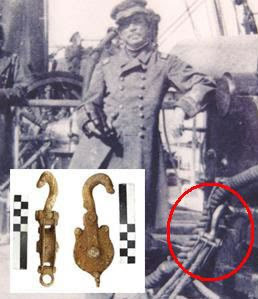 In early 1995, AOPA, Pritchard III, and Juno acquired a collection of Civil War-related artifacts from Mr. Ronald Weaver. A sergeant's Union Zouave uniform was included in the Weaver collection. Pritchard III and AOPA sold the collection, including the Union Zouave uniform, to the National Civil War Museum for $1.8 million. In March 1997, Pritchard III purchased what he thought was another authentic Zouave uniform. He later learned that the uniform was from a Belgium rather than Union military unit, and was of negligible value. In March 1997, Pritchard III stole the Union Zouave uniform from the Harrisburg museum's inventory and replaced it with the Belgium Zouave uniform. In the fall of 1997, Pritchard III and Juno sold the stolen Union Zouave uniform to a private Civil War dealer for $20,000. In total, the three men - Russell Pritchard III, Russell Pritchard Jr., and George Juno - were responsible for more than $1.2 million in historical memorabilia fraud. In early 2001, Juno pleaded guilty to the theft of the Wilson sword. On December 21, 2001, Russell Pritchard III pleaded guilty to more than 20 counts including wire fraud, mail fraud, theft from a museum, and Interstate Transportation of Stolen Property. On January 18, 2002, Russell Pritchard Jr., and a former museum curator at the Civil War Library and Museum in Philadelphia with 20 years of experience, were found guilty of theft from a museum and aiding and abetting after the fact in the case involving the Hunt uniform. On July 11, 2002, Russell Pritchard III was sentenced to one year in prison and was ordered to repay $830,000 for staging phony appraisals and defrauding Civil War militaria collectors. Pritchard III, 39, pleaded guilty to making false TV appraisals. He also admitted defrauding artifact owners by giving them low appraisals on items, then reselling them at much higher prices and keeping the profits for himself. In May 2008, Pritchard III was sentenced to state prison after he pleaded guilty to theft-related charges and admitted to bilking six clients out of more than $100,000 in connection with incidents that occurred between June 2004 and December 2006. At that time, Pritchard III told the judge he had had to deal with a string of problems including a vendor who defrauded him, and auctions that had performed poorly. He said he never intended to defraud anyone. 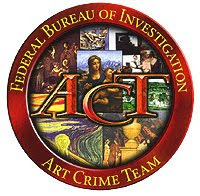 Auction Central News gratefully acknowledges the assistance of the Philadelphia Division of the FBI for extensive information used in the preparation of this article.